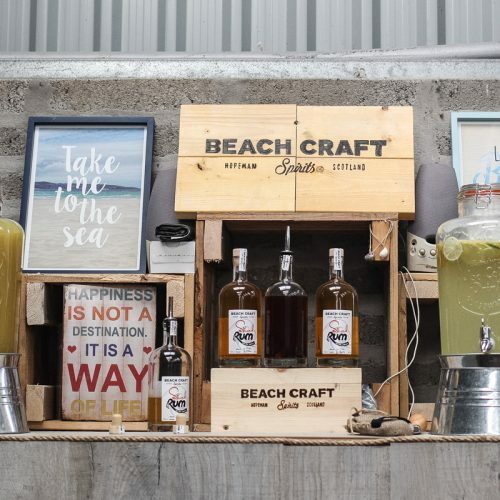 So as a new and up and coming business it was suggested in a conversation that Beach Craft Spirits hosted one of the Moray Business Women events. This was exciting and we were more than willing to give it a go. 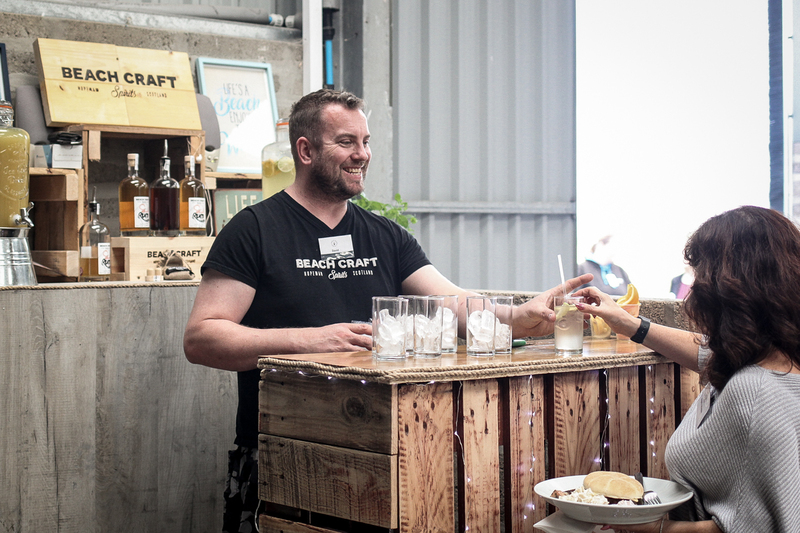 Cue the plan being put into action and decisions being made as how to host the evening in our true and quirky style! Fast forward to the night>>>>> 6:30pm the evening started. 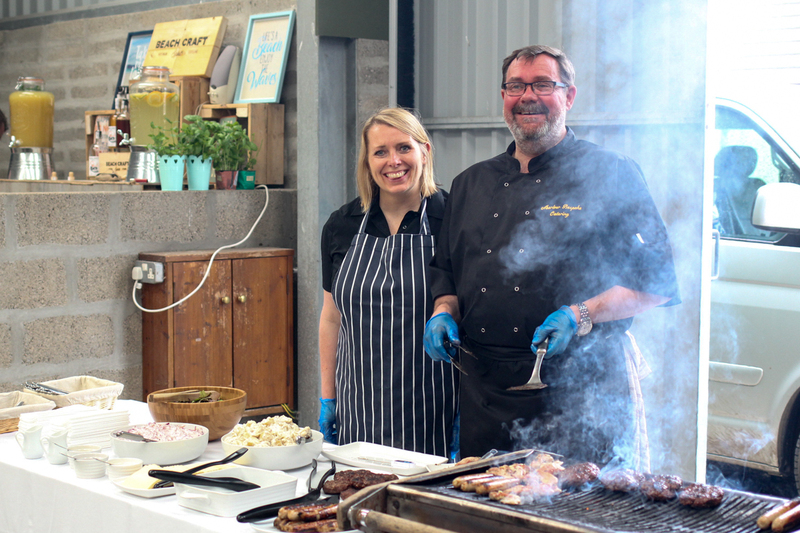 Aberlour Bespoke Catering joined to provide the most wonderful BBQ in proper beach style. 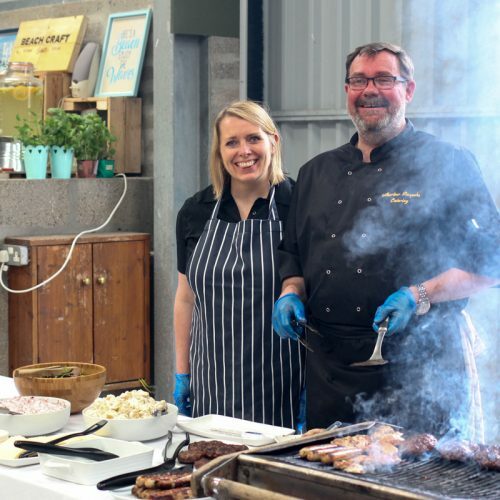 The choices were excellent – Spoilt for choice between Aberdeen Angus Burgers, Pork Sausages with Leek and Stilton to Garlic and Rosemary marinated Chicken thighs, and to garnish Potato salad, Coleslaw and mixed leaves. The smells were amazing coming from the BBQ. 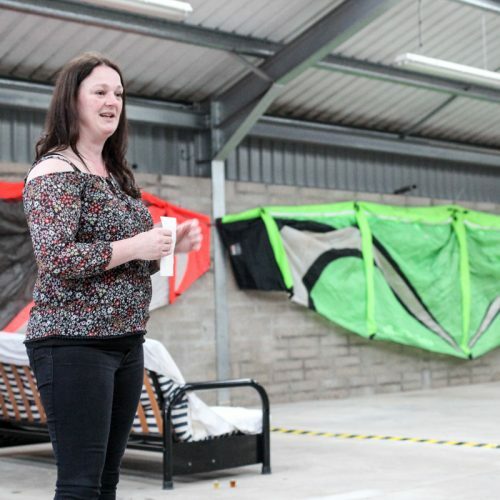 Many thanks to Karen and Mark for their hard work. I think I can speak for all saying that the food was very much enjoyed and highly recommended. 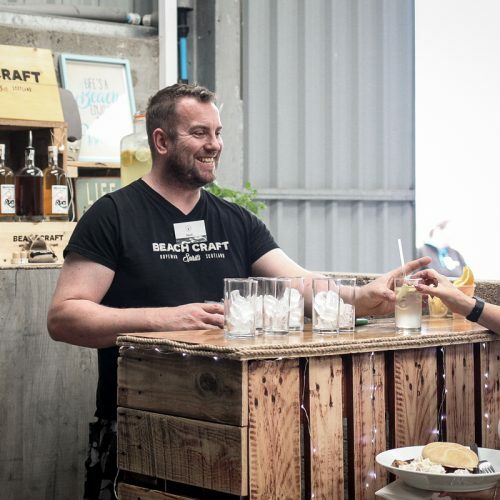 Once people had got their food it was onto the bar to get a complimentary cocktail / mocktail from David from Beach Craft Spirits. David took time to explain about the cocktail / mocktail and how the flavours within each had been carefully chosen. 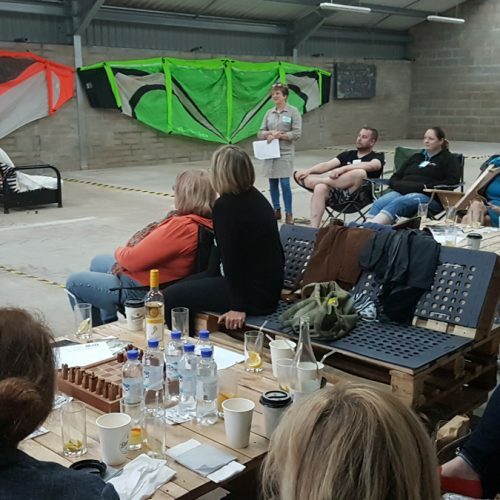 With food in one and hand and drink in the other people then sat and relaxed on the specially built pallet furniture that was arranged to encourage networking over dinner. It was a pleasure to have Amanda and Keith from Beankind throughout the evening and they provide us with their own unique roasted coffee. 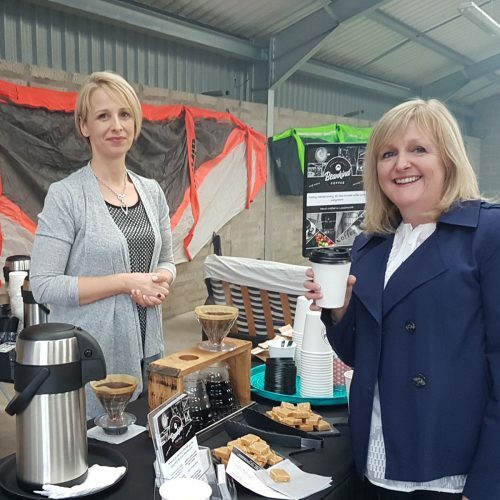 The Harbour Roast was a firm favourite and even had none coffee lovers having a try! At 8:30pm the networking and conversations were brought to a halt were Marie the MBW president took the floor to welcome everyone and started the meeting. Marie then handed over to myself and David to explain a little more about where our business had started, the thoughts, the missions and our ethos in providing a premium drink and introducing the fun of Rum to the area whilst highlighting Moray as a great tourist destination and encouraging footfall to the area. We were as usual ourselves and hopefully showed people our view of how our business will grow and expand in the years to come. These awards are well worth entering. 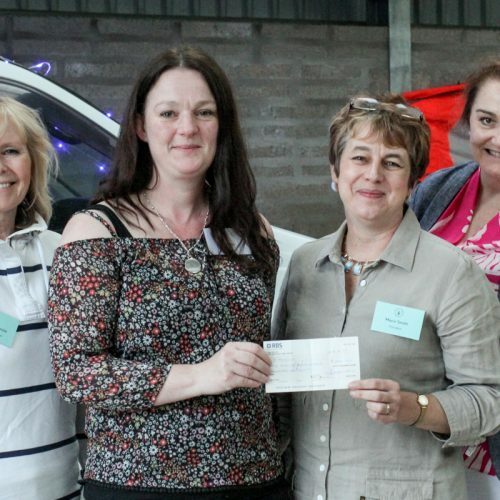 I entered in 2016 and was a finalist for Moray Business Woman of the Year. It was a surprise and I was really happy to be a finalist. 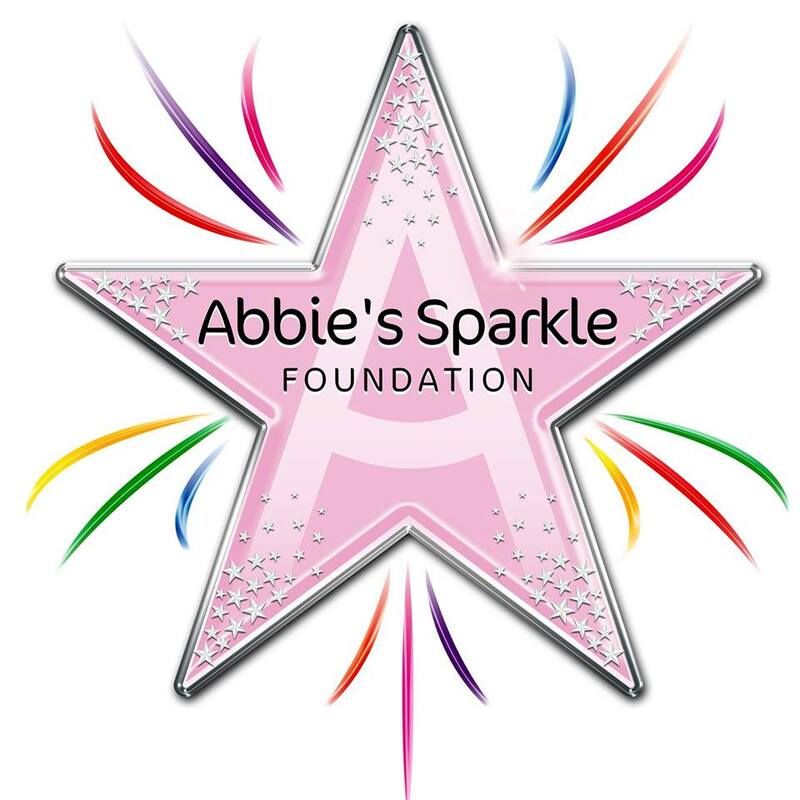 For more information regarding the awards go to www.mbwc.org.uk and look for the awards tab at the top of the page. 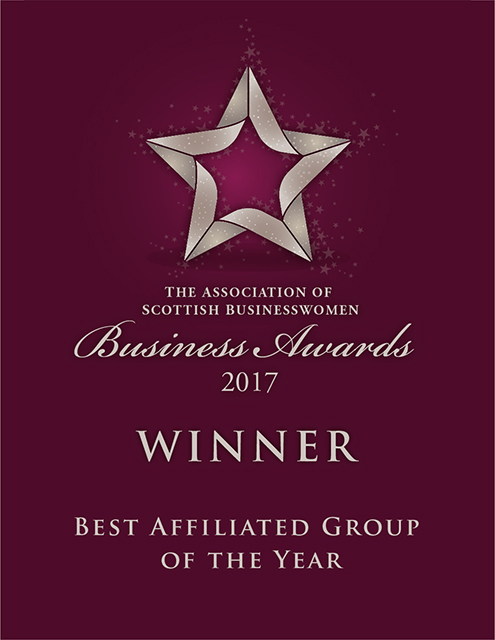 MBW chosen charity of the year for 2017 is the Moray Food Bank so there was an option for members to bring items required for the foodbank to help others in need within Moray. For more details please see www.morayfoodbank.org.uk on how to donate items or put in a request for a food package. 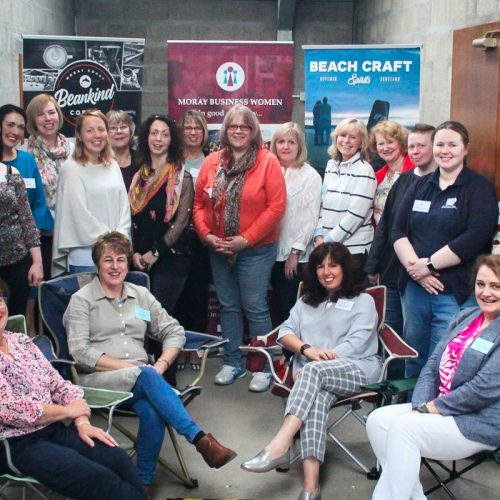 I would encourage people to attend a meeting with the Moray Business Women. There is a wealth of knowledge from many different areas of business and someone always willing to help and welcome you. 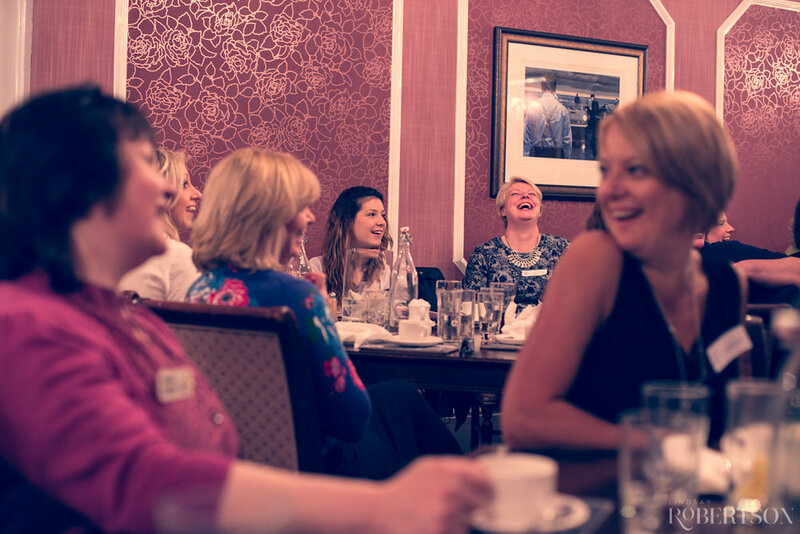 There is a diverse range of women within the group which means it is multifaceted and very flexible. 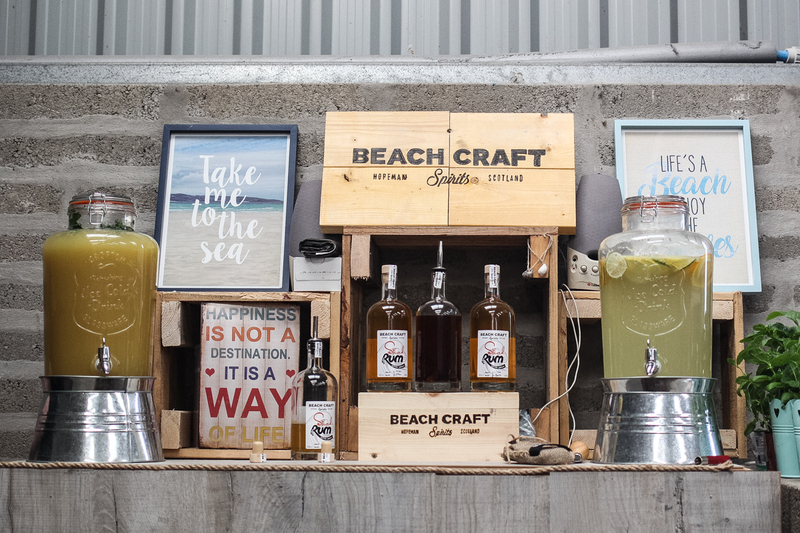 I know for sure that we enjoyed hosting the recent Moray Business Women’s event at Beach Craft Spirits and would welcome them back again! 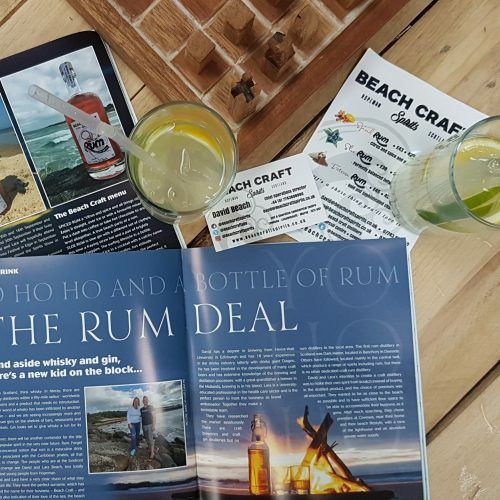 Thank you our guest blogger Lara Beach of Beach Craft Spirits for giving an insight into our August networking event and Awards launch.